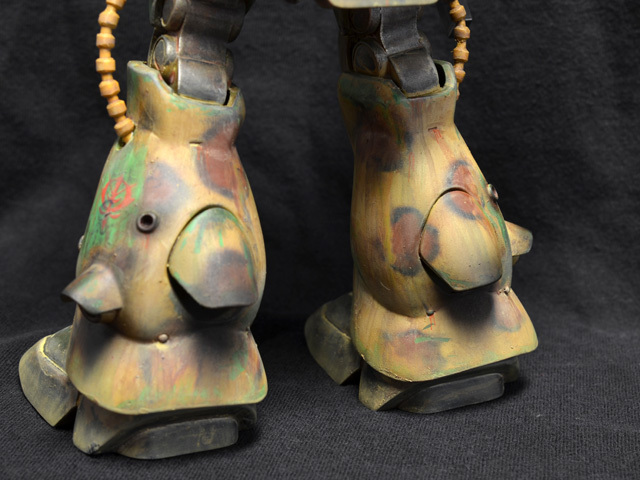 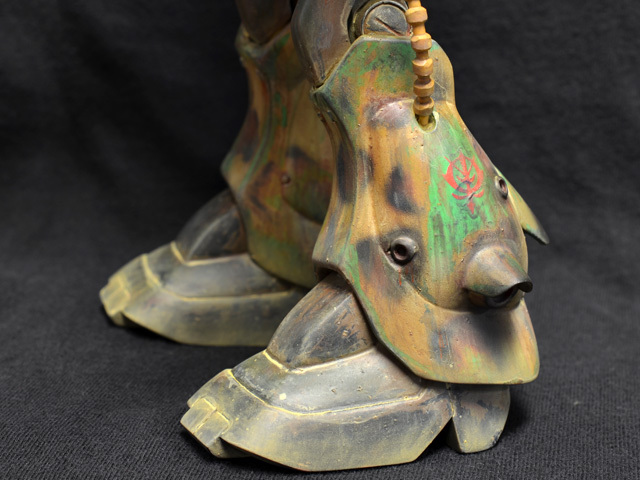 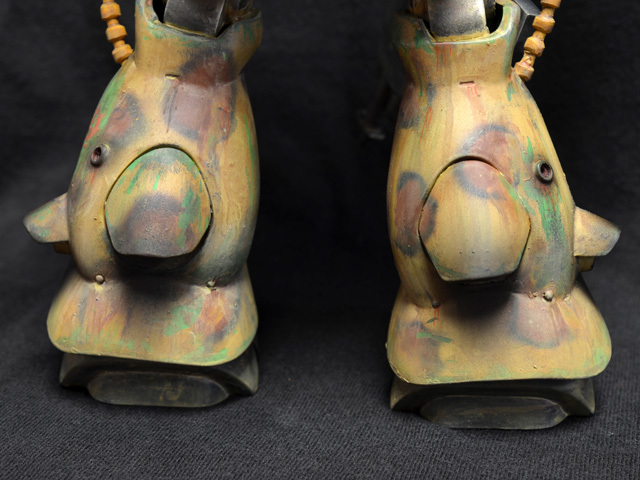 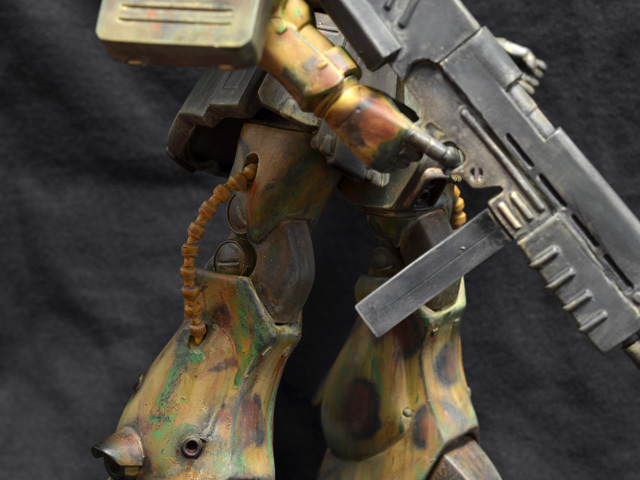 B-Club is the specialty item arm of Bandai. 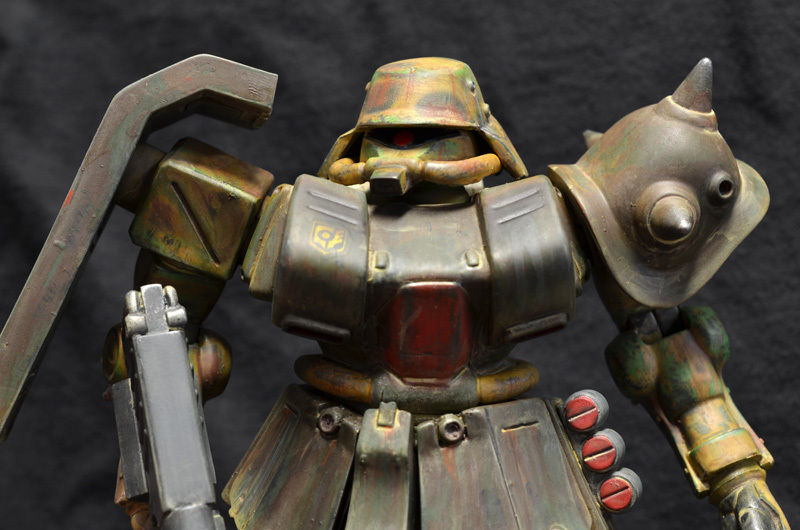 B-Club makes PVC character figures, model detail parts, soft vinyl toys and kits, and more. 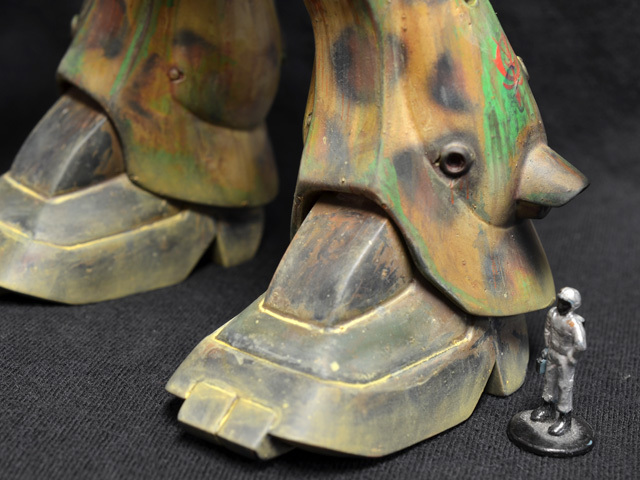 They’ve released numerous reissue Bullmark kaiju vinyl toys, but have also released soft vinyl model kits over the years. 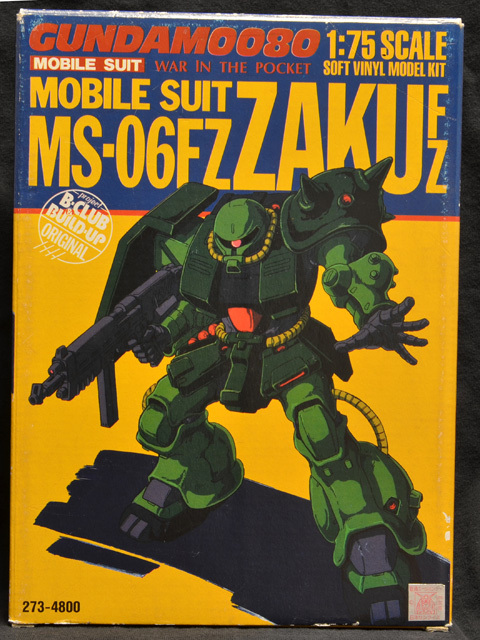 At some point, B-Club released a line of 1/75 scale kits of mecha from Mobile Suit Gundam 0080: War in the Pocket. 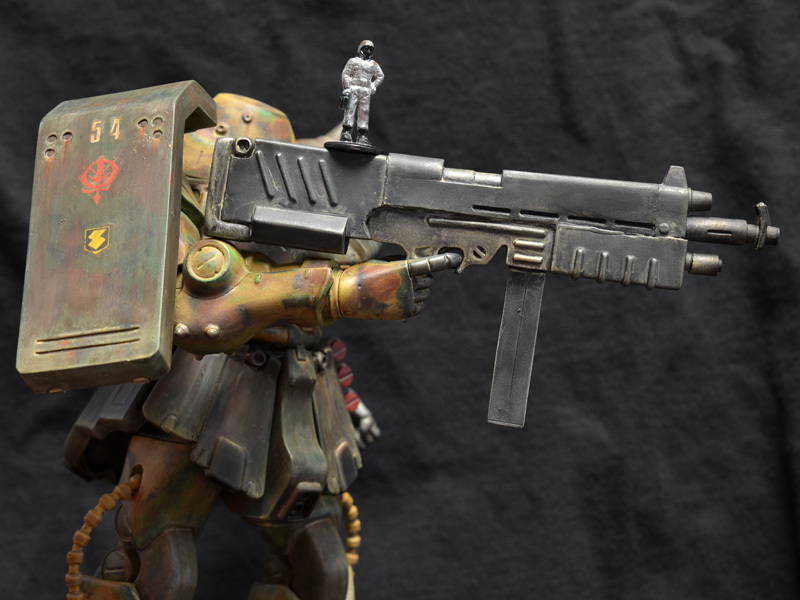 I don’t really care for the miniseries, but I like the machines in it quite a bit. 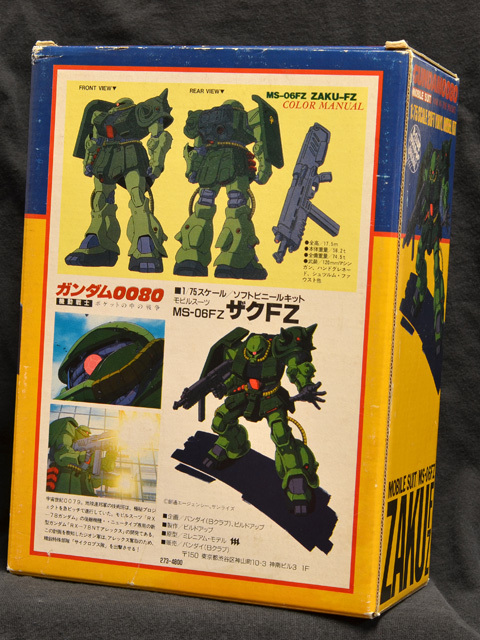 When I learned about the line, I knew I needed to start tracking them down. 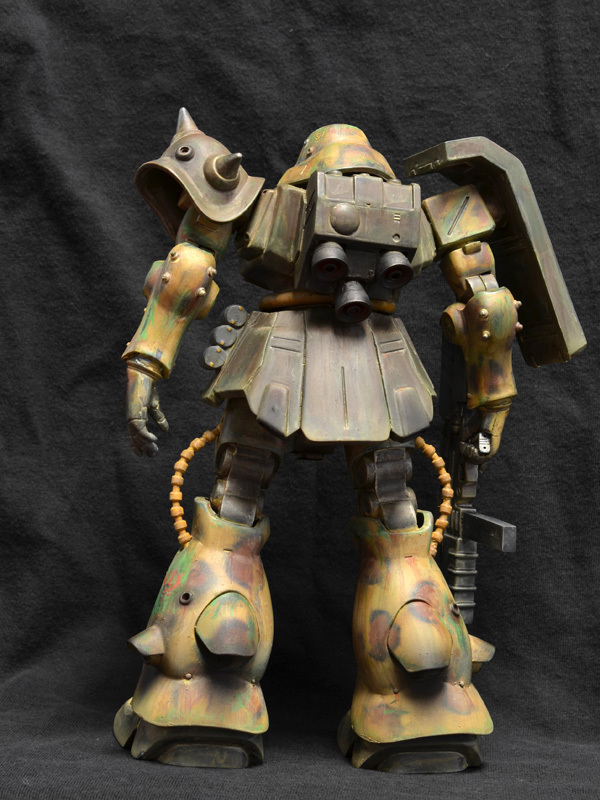 Soft vinyl robot kits are a strange breed, but I love them. 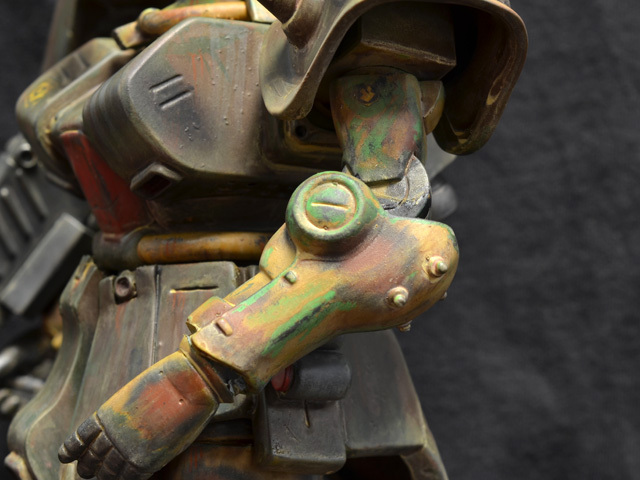 I wrote along, indulgent thoughtpiece about vinyl robot kit in a review over on CollectionDX. 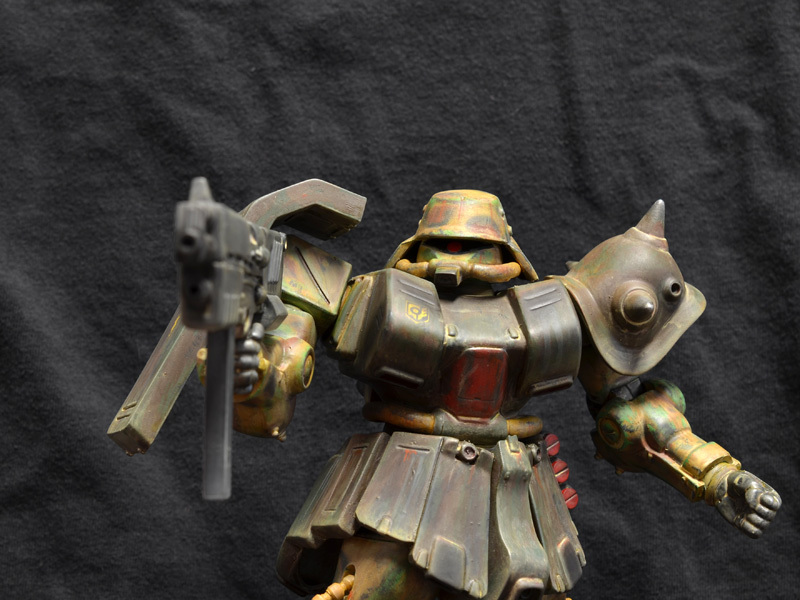 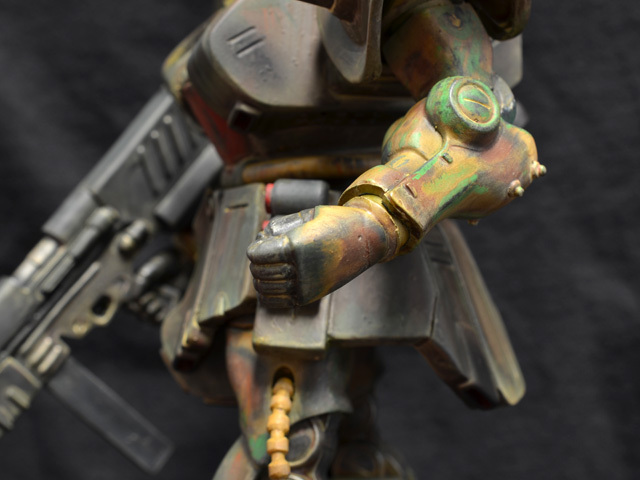 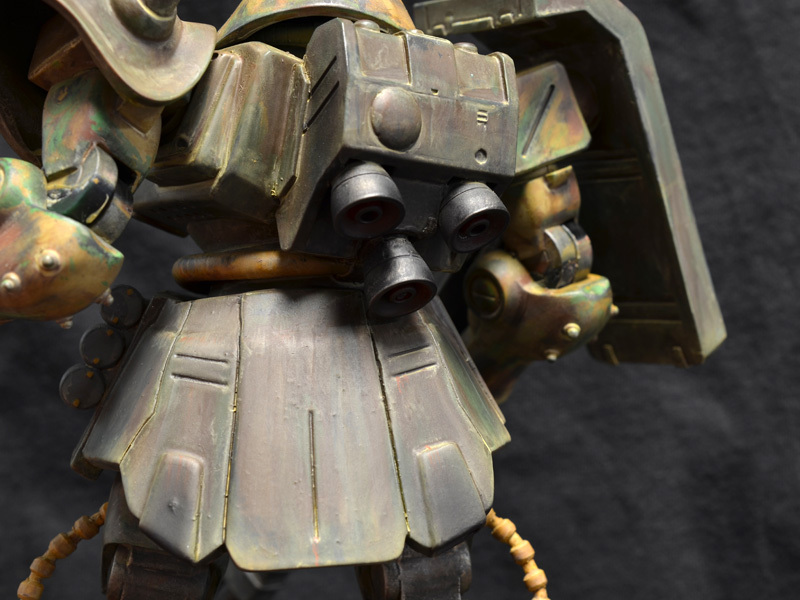 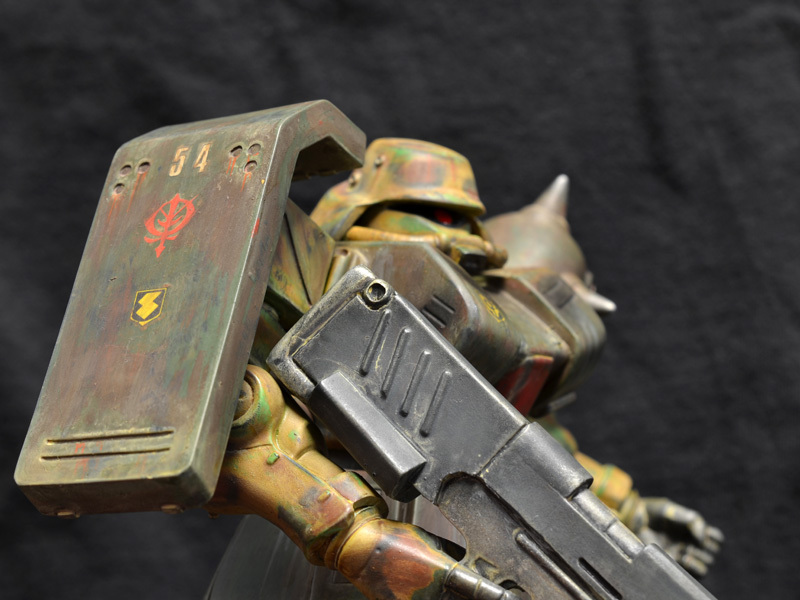 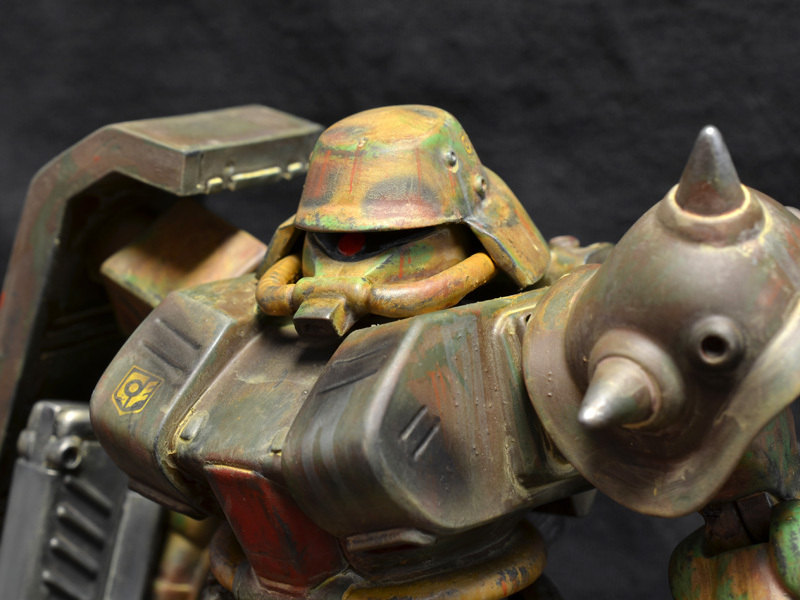 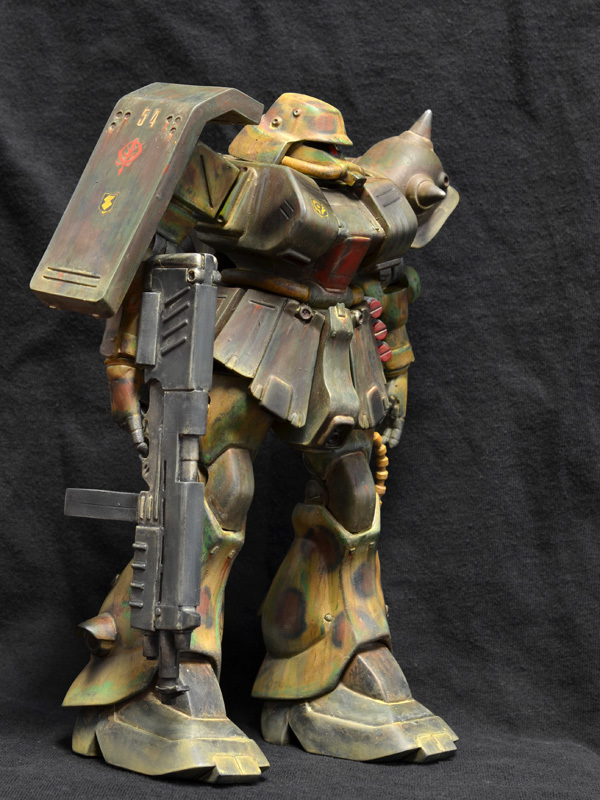 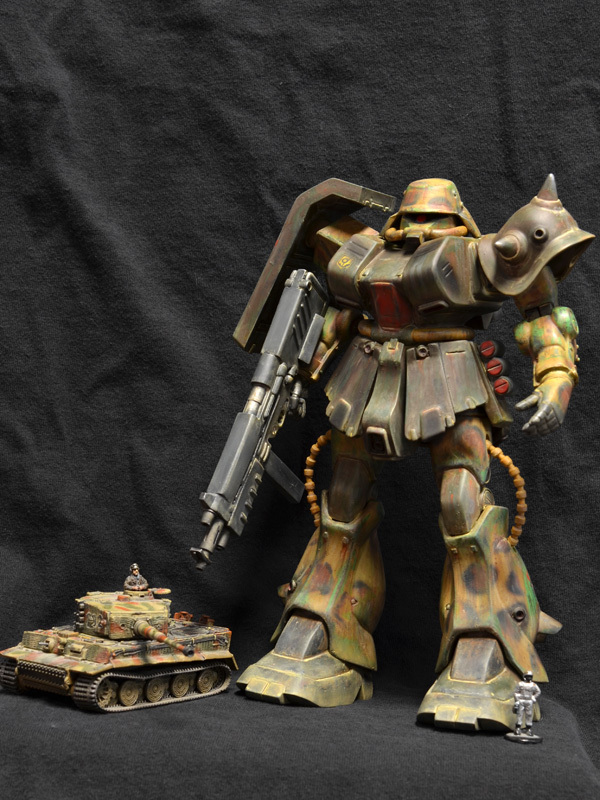 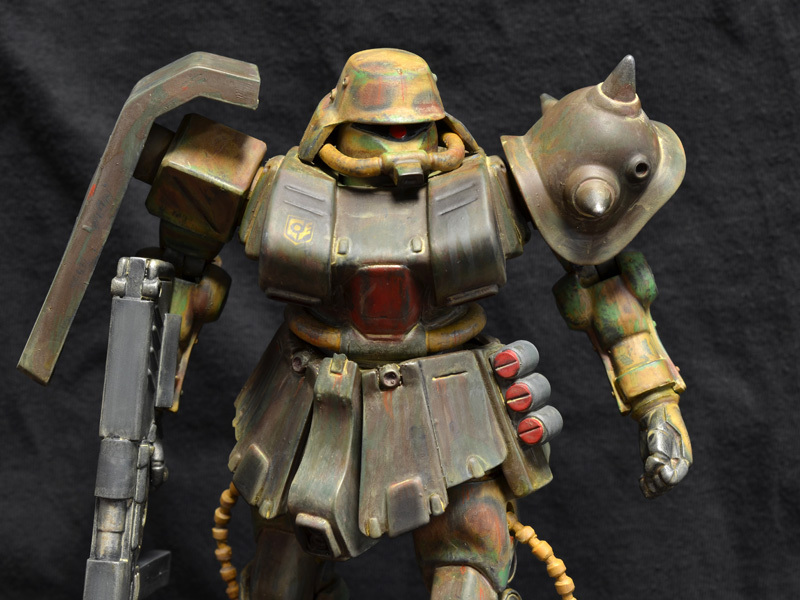 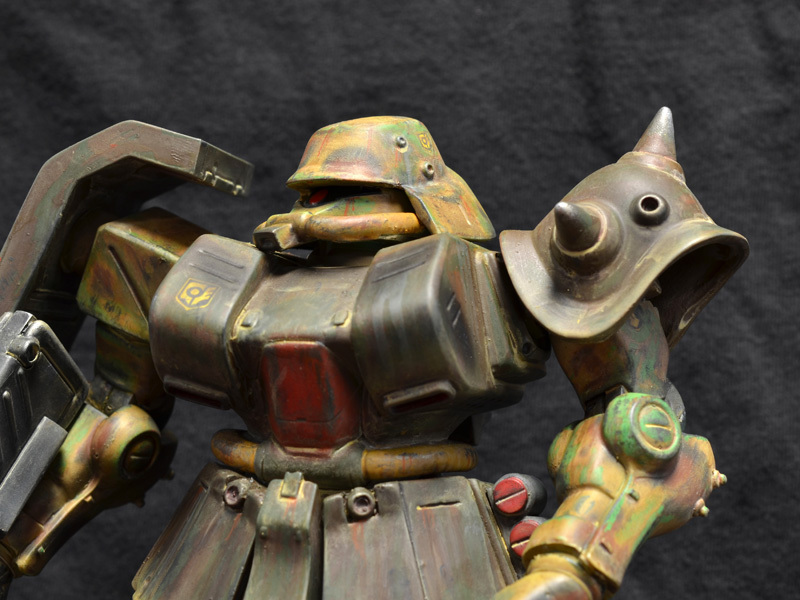 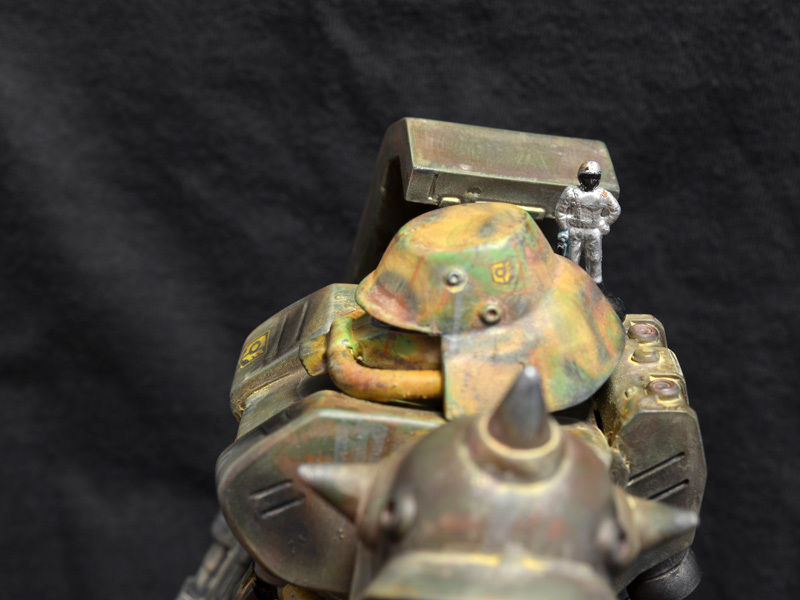 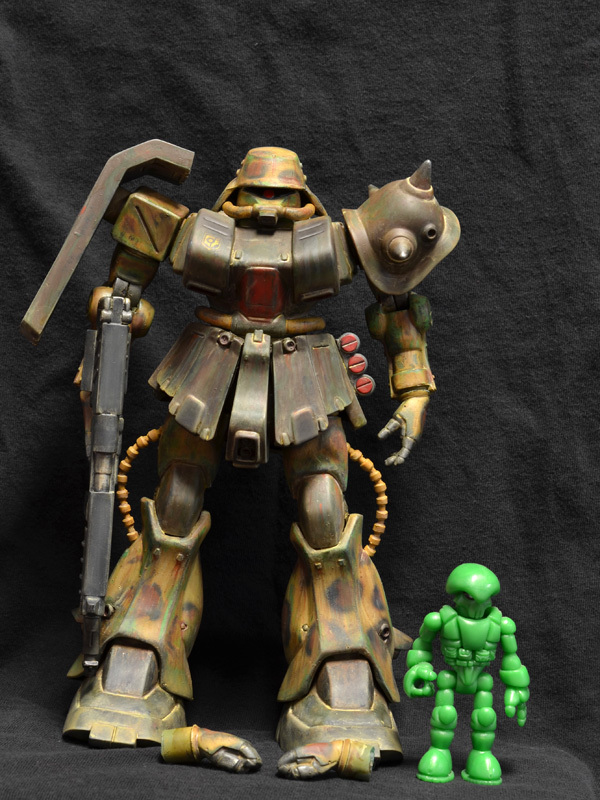 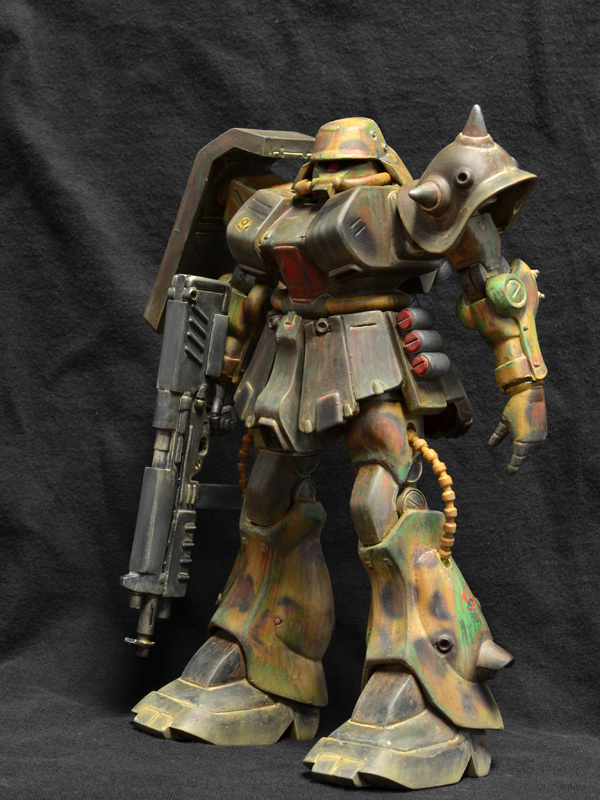 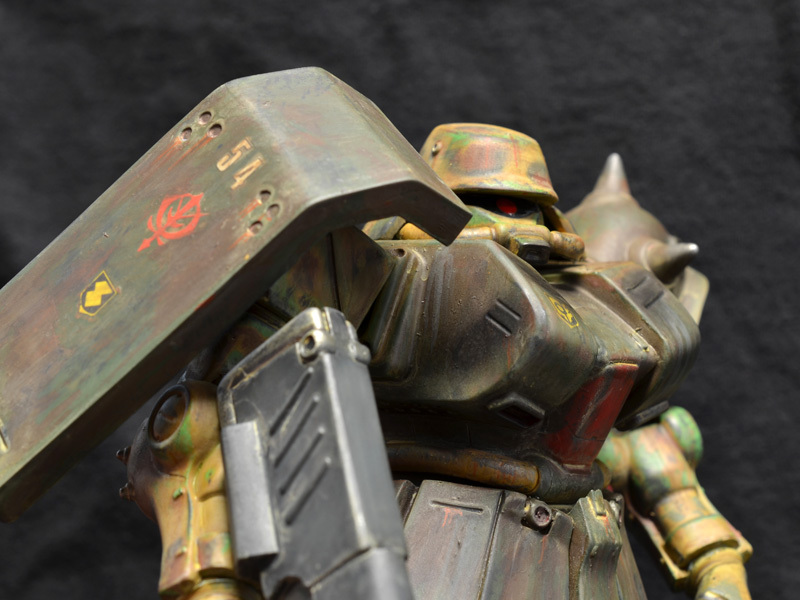 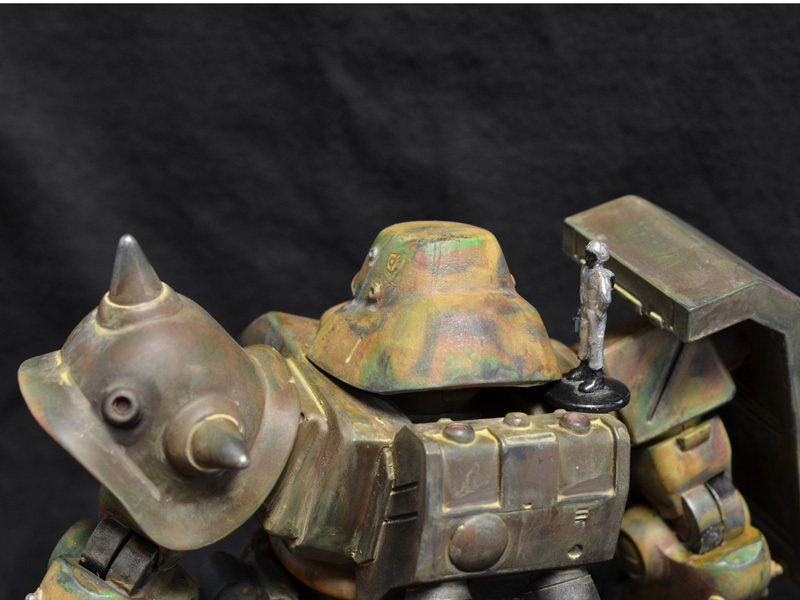 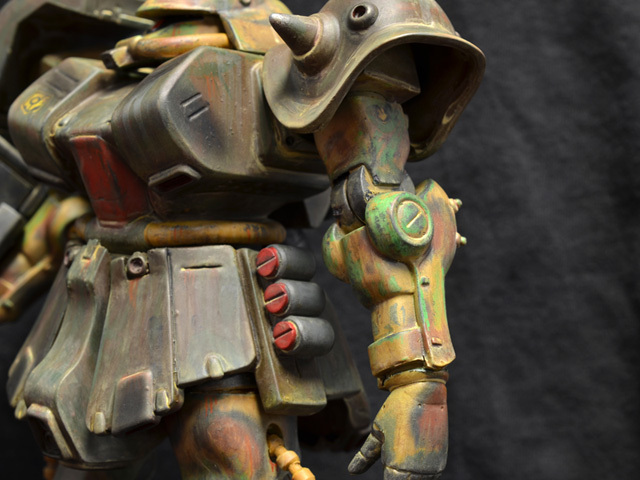 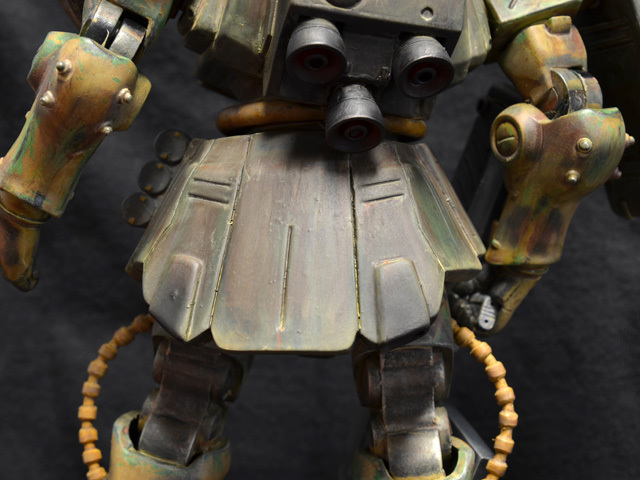 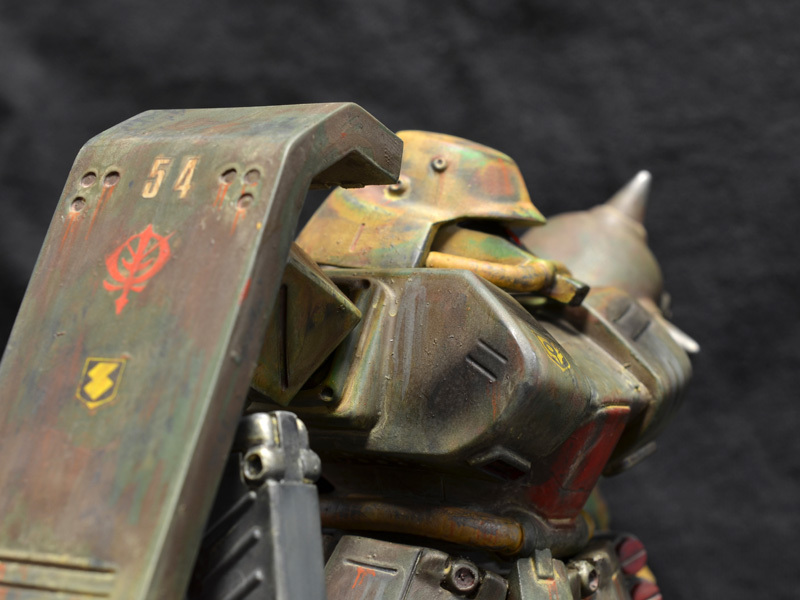 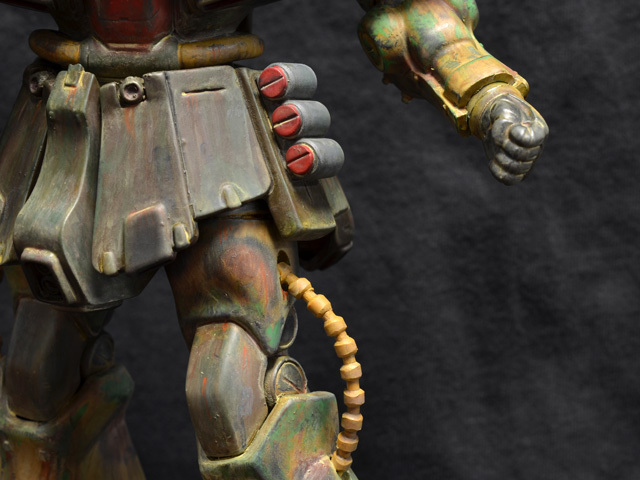 Go there to read lots of words, and scroll down for more and bigger pictures of the finished Zaku.